In Persephone Rose's masterful retelling of a classic Arthurian legend, Arty (a 35-year-old drug addict) sets out on a mission to find a job or risk getting kicked out of his stepfather's house. This audio made me laugh out loud. It reminded me of when you ask your older brother to tell you a story and he can’t remember the classic fairytales so he makes up his own. You look at him at first like what the hell and then as he gets so involved in the tale you can’t help but smile, laugh along, but more importantly, get lost in the story. The narrator did such a fabulous job of making me believe that it turned from a hilarious retelling into a fantasy world that I wanted to know more about. I will definitely listen to the next audio in the series. I enjoyed this short, modern day take on Excalibur. It's quite humorous and narration is great. I just wish it had been longer and didn't end in a cliffhanger!!! Next one please!!! I hope I don't have to wait too long to find out what happens next! I am not sure what to say. this is so not my kind of story at all. Bahahaha, very short by my lawd so very entertaining. If you're after something quick and funny I certainly recommend this audiobook. Loved the characters of Arty and Cassin (drug addict brothers) and Lady Lancenslot. The brothers get arrested from drug bust. Arty meets Murray and tells him his real father was a pimp. They meet Lady Lance at stripper club and she needs a pimp. Arty finds info on the internet of glock in a rock in forest and him and Cassin go there. 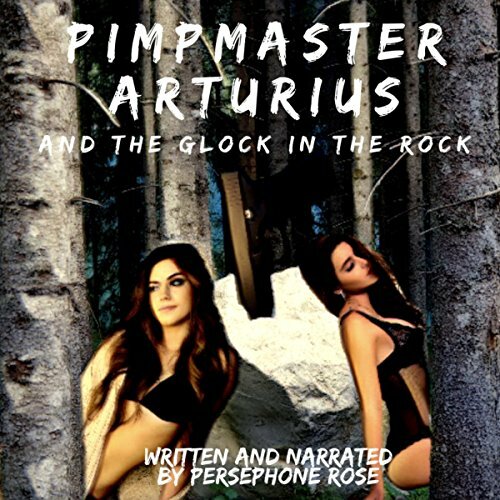 Murray and Lady Lance are there and Arty removes the glock from the rock becoming Pimpmaster Arturius. Then Sheriff Fisher arrives and shoots Lady Lance then end abruptly. My complaint was to short and ended abruptly and have to wait for next in series. Funny with sexual undertones spinoff of William Shakespeare. Narration was good and recommend if need a short funny listen and need the next ASAP. I was given this free review copy audiobook by author/narrator and have voluntarily left this review. THANK YOU! I received this book for free in exchange for an honest review..